We sell a variety of corrugated paper products. We guarantee the highest quality paper products for your shipping needs. 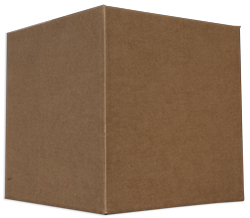 We carry a wide variaty of standard 200 pound RSC single wall and 350 pound RSC double wall boxes. We also carry IATA approved boxes. Packaging material made from thick layers of paper, the top layer is grooved and ridged for added strength and durability.